I enjoyed Book 1 and Book 2 enough to read Book 3. I read Book 1 and Book 2. The trilogy came to a satisfying conclusion. The books have moved outside of Luthadel. We have Vin and Elend tag-teaming across the dying land to conquer (save?) the world. There is so much going on this book. There are battles happening in multiple areas. There is Vin's and Elend's relationship. There are discussions about Mistborn lore. There is battle strategies. How can this possibly keep building, and building, and building? And it does. When I thought it could not go further, it does again. And then it finishes in a satisfying way. It is a worthy finish to an epic trilogy (with a bit of opening for more books). This is a meaty book. If you are still hungry for another major epic, then godspeed to you. I thought I had a big sci-fi/fantasy appetite. 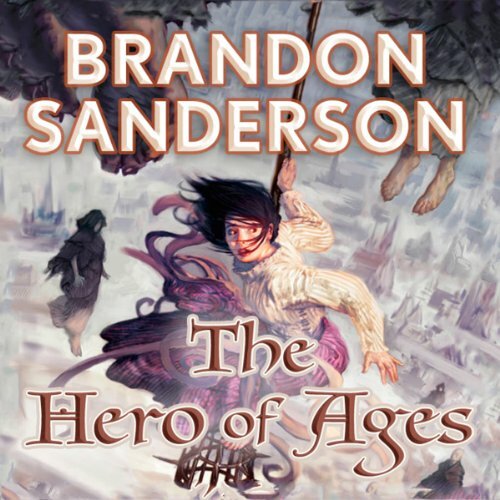 Discuss Mistborn: The Hero of Ages (Book 3) in the forums.